ONE TOUCH access to your WiFi SETTINGS! 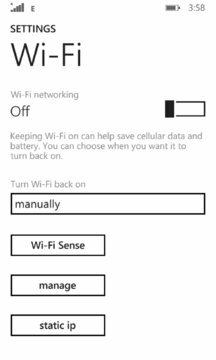 Easily toggle your WiFi settings for your phone ON or OFF. 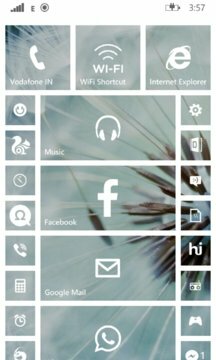 • WORKS ON ALL WINDOWS PHONE 8.1, 8 and 7.5 DEVICES! • No configuration needed, just start the app and you can see and edit your WiFi Settings! • New build for faster performance. • Support for all stores. • Changed Wi-Fi Icon as per feedback.